The valve type Z2FS 10 is a throttle Check Valve in sandwich plate design. 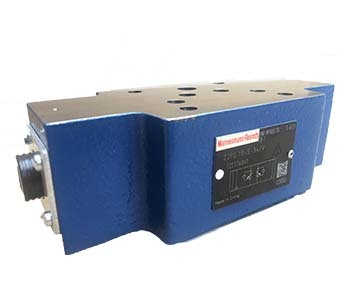 It is used for the main or pilot flow limitation of one or two actuator ports. Two throttle check valves aligned symmetrically to each other limit flows in one direction and allow free return flow in the opposite direction. In case of supply throttling, the hydraulic fluid is directed through channel A1 via throttling point formed by the control edge and the throttle spool to actuator. The throttle spool can be axially adjusted via the spindle for adjustment of the throttling point. Simultaneously, the hydraulic fluid in channel is directed via the bore to the piston side . The active pressure and the spring force retain the throttle spool in throttle position. The hydraulic fluid return flow from actuator B2 displaces the throttle spool against the spring and enables the unobstructed flow as check valve. Depending on the installation position, the throttling effect may occur in supply or discharge. Looking for ideal Electric Flow Control Valve Manufacturer & supplier ? We have a wide selection at great prices to help you get creative. All the Electric Hydraulic Flow Control Valve are quality guaranteed. We are China Origin Factory of Excess Flow Control Valve. If you have any question, please feel free to contact us.